A big contest starts for all beauty lovers, professionals or amateurs. If your passion is make up, nails, hair, tattoos, body painting, modelling, beauty tutorials, DIY projects related to beauty/fashion or anything else related to beauty, you have the chance to show your talent and win beautiful gifts. 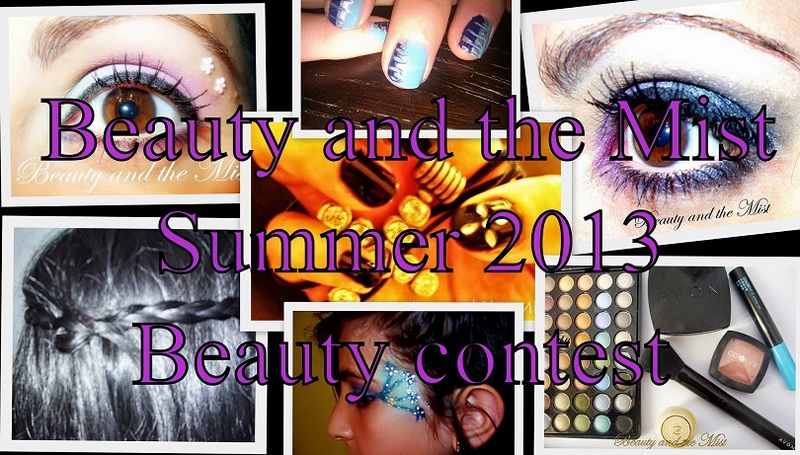 All you have to do is send your entry/entries at beautyandthemist@gmail.com until 20 July. You have to include at least one clear photo and a few words about your entry. To be a valid participant, you need to follow Beauty and the Mist either on Facebook, Google plus, bloglovin, GFC or Twitter. Voting will be open to everyone as you will be able to choose your favourite participations on a poll. I’ll be waiting for your entries until the 20th July and they will be presented to our readers as soon as I receive each one, but voting will start on 26th July for all the participants. Voting will last until 24th August and the person with the most votes will be the winner (dates may change depending on participations). The winner will be announced here, but an email will be also sent. Please make sure that you have the permission to share the photos you send and you don’t copy them from the Internet. In case the photos depict people under 18 years old, you should have their parents’ permission. The contestant with the most votes is going to be the winner. If two or more contestants have equal votes, the winner will be chosen randomly. Beauty and the Mist is offering a set of eye make up products I just bought: eyeshadow palette with 3 colours and mirror, white eye pencil and an eyeshadow brush with smugger. Beauty and the Mist on etsy is offering this handmade necklace I created with a heart-shaped swarovski crystal. 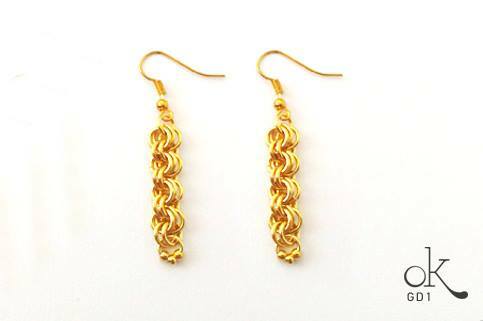 Ok jewelry is offering this beautiful handmade pair of earrings. Ok is a new page with handmade jewelry and you should visit it if you like unique creations! Dana Ramos is offering a copy of the book ‘The Skin Regime‘ I have already presented to you. I’ll be waiting to receive your entries!